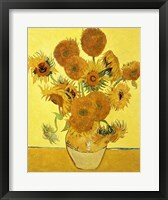 Framed Vincent Van Gogh painting prints allow you to display a finished, ready to hang art masterpiece. 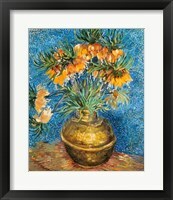 Completely customizable, this framed Still Life: Vase with Cornflowers and Poppies, 1887 painting has over sixty frames and tons of mats to choose from. 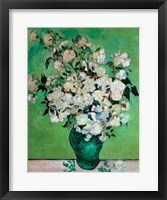 All framed prints are created per order in our New Jersey framing facility. 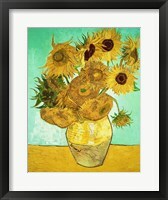 By creating each art print to order, FramedArt.com offers an affordable, hand-made solution to your wall decor needs.